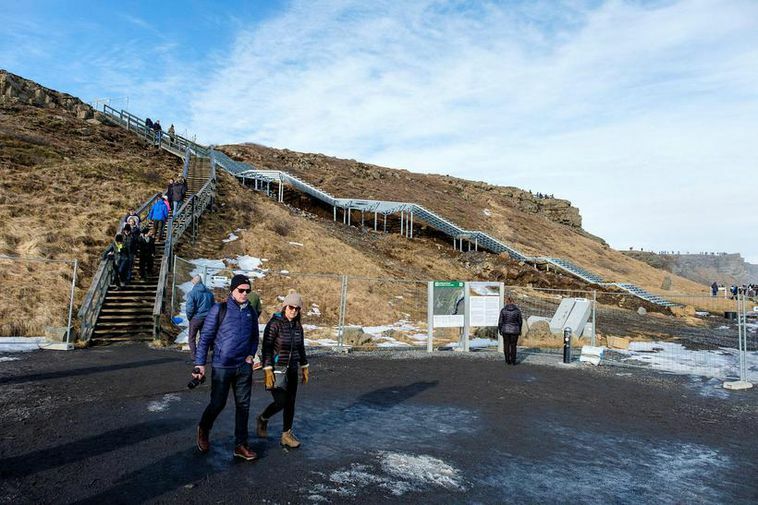 Tourists are now using the new staircase at Gulfoss, Iceland's most famous waterfall and one of the country's most popular tourist spots. The new facilities were put up by the Iceland Environmental Agency to protect the area and improve safety. Lárus Kjartansson at the agency says that the construction of the staircase was urgent. "The older staircase was worn and in bad shape." Although the staircase has been put into use, some work is still left with regards to the area around it.